Non set-retarding, high range water reducer and superplasticising admixture for concrete and mortar. Supplied as a high purity, ready-to-use, 100% solids, flowable powder admixture, Cosmotron® DPU-AC is a high-range water reducing and superplasticising admixture suitable for use with cement, lime and lime / plaster-bound composite products and materials. Suitable for use in poured insitu, precast and/or machine-made masonry production applications (including those using ‘semi-dry’ compacted mixes) Cosmotron® DPU-AC improves a range of concrete performance characteristics - in both the plastic and hardened states - without retarding normal set times. • Increases the intensity and colour saturation of integrally-coloured concrete mixes. • For Premixed Concrete - Cosmotron® DPU-AC is typically added last to the freshly made plastic concrete having a suitable, lower than normal quantity of water to give a lower concrete slump of approximately 40mm. The addition of the biodegradable sacks of Cosmotron® DPU-AC admixture to the transit truck's barrel should be followed by a thorough remixing of the concrete to ensure that the admixture is evenly distributed throughout the mix load and that the paper sacks have degraded completely. This causes increased flowability - and the slump rises accordingly. 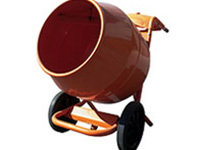 • For All Other Mortar and Shotcrete Mixes - it is recommended that Cosmotron® DPU-AC is added to the mix at the selected dosage rate as the last item, followed by further thorough mixing to ensure full distribution of the admixture throughout the mix and complete degradation of the paper sacks. • Mixes containing Cosmotron® DPU-AC admixture should be prepared using 20-25% less mix water. • Cosmotron® DPU-AC can also be ‘pre-dissolved’ in mixing water (60% Cosmotron® DPU-AC to 40% water) for use with liquid admixture dispensing systems. • Cosmotron® DPU-AC can be ‘re-dosed’ into previously mixed plastic pre mixed concrete containing Cosmotron® DPU-AC if required to maintain slump and workability over an extended period of time. Cosmotron® DPU-AC is recommended for use at a starting point dosage rate of 0.4% by weight of total cementitious material content in concrete, shotcrete and mortar mixes, for most applications. Cosmotron® DPU-AC is compatible with virtually all other industry-recognised concrete admixtures including oxide powder pigment colourants. Please contact Ability Building Chemicals Co for information on specific admixtures, products and mix designs. Cosmotron® DPU-AC is available in 15kg Concrete-Friendly® fully-degradable paper sacks. For maximum shelf-life, Cosmotron® DPU-AC should be stored out of direct sunlight, off the ground, in not excessively high temperature, appropriate, dry conditions and tightly closed original packaging. Under these conditions, Cosmotron® DPU-AC has a storage shelf-life of 12 months. • Wash any contaminated clothing or protective equipment prior to storage or reuse. For further Health and Safety information, please refer to the Cosmotron® DPU-AC Safety Data Sheet (SDS).